It’s as simple as the wet-dry distinction. 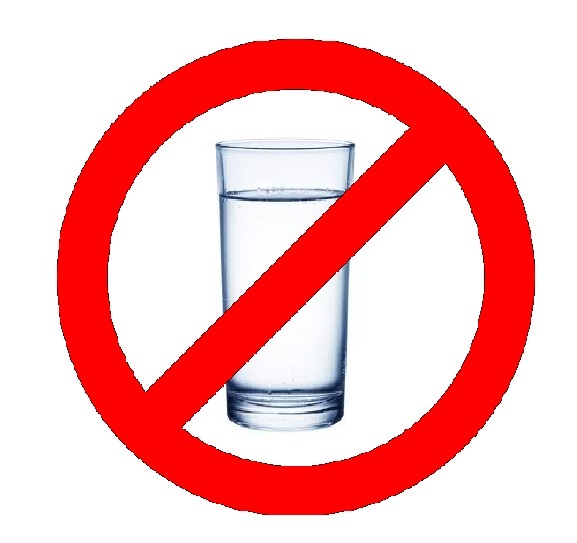 Wet fasting: Drink water, but take no food.Dry fasting: a total abstinence from both food and water for a defined time. There is one more level of dry fasting called Absolute Dry Fasting. Some suggest to reach the deepest level and realize the full benefits of dry fasting, it’s better not to let any water come in contact with the body through the skin or mucous membranes. You heard that right: no showers, no swimming, no brushing teeth while dry fasting. Animals commonly use dry fasting for healing. When wounded or very sick, they retreat for rest and refuse to take in food or water until they get better. Humans used to have the same instinct, until the advances of civilization replaced it with readily available food and medicine, and culture took over to dictate when and what we eat. You may have acquired somewhere the common beliefthat humans can only survive three days or so without water. If so, you might be surprised to learn that therapeutic dry fasts as long as five, seven, nine, even eleven days are not unheard of. The Guinness Book of Records mentions 18 days as a record for a person surviving without any food or water. With the right intention and some comprehensive information about fasting as a mode of healing, you can go with relative comfort through the experience of a 24-36 hour dry fast and reap the benefits. The cessation of both external food and water creates a special kind of stress in the body, prompting it urgently to come up with both nutrients and water, initiating the process of making both internally. During a dry fast, the body survives on so-called endogenous or metabolic water, produced internally as a result of metabolizing fat tissue. Unlike any exogenous water, this metabolic water is of superb quality, produced by the hard work of our own cells. It literally erases any negative information imprint which the body had before the fast, allowing cells to experience a kind of a rebirth, as a result. Under dry fasting conditions, even the skin changes its function, from being an organ ofelimination to serving as an organ of absorption, taking in any available water from the air and supplying it to healthy cells. Besides water, the body during a dry fast absorbs atmospheric carbon dioxide and nitrogen to manufacture its own amino acids. Since there is no water to flush out the endogenous toxins, these are eliminated by means of a unique mechanism, dormant during less rigorous modes of fasting: Each cell, in effect, becomes the furnace that burns up its own waste. Inflammation cannot exist without water. Microorganisms need water to survive. These facts taken together make dry fasting a highly effective tool to address acute health issues and degenerative conditions. Such a fast stimulates the immune system, activates the body’s anti-inflammatory mechanisms, purifies the blood and clears the blood vessels, as well as cleanses the GI tract and renews its mucosal lining. Dry fasting also eliminates parasites and promotes regeneration of healthy tissues. And this isn’t even a complete list of benefits. Every cell of the body literally cleans house. Only the strongest and healthiest of cells survive in such extreme conditions, while cysts and benign tumors dissolve as a result of autolysis, a process by which the body sacrifices its sickest cells for its own survival. Prev Post: What is your Passion?